A convoy of angry Albertans and other westerners rolls into Ottawa Tuesday for a mass protest against federal energy and environmental policies that has also become a magnet for extremist, anti-immigrant elements. 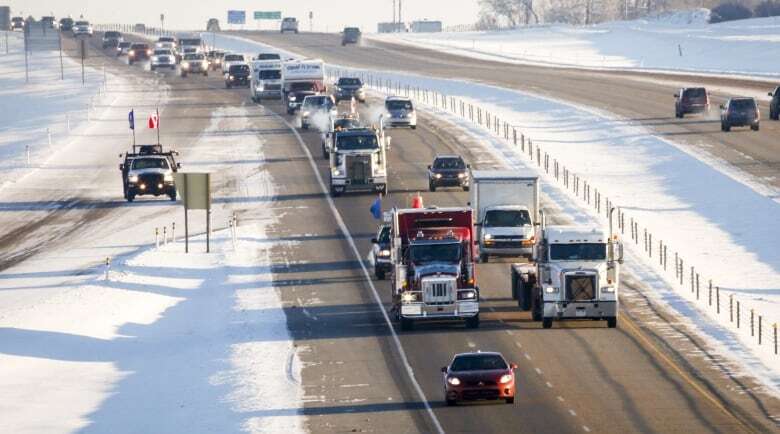 A couple of hundred vehicles are expected on Parliament Hill as part of the United We Roll convoy, which began in Red Deer, Alta., on Valentine's Day and made its way east over four days with stops for rallies along the way. "The core message is we need immediate action for our pipelines to get in the ground, to get to tidewater and to the rest of Canada," said lead organizer Glen Carritt, the owner of an oilfield fire and safety company in Innisfail, Alta. The protesters want the Liberal government to scrap the carbon tax and two bills that overhaul environmental assessments of energy projects and ban oil tankers from the northern coast of British Columbia. Carritt said participants also are unhappy about the government recently signing a non-binding United Nations compact on global migration. Carritt said Canada's borders "need to be controlled" by Canada and its citizens, not the United Nations. 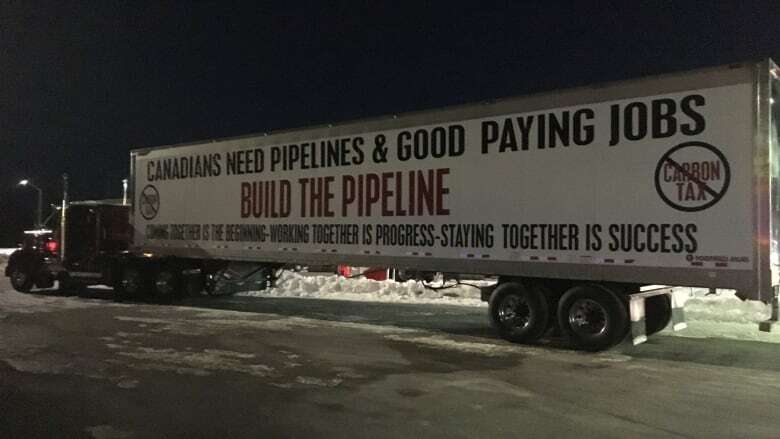 Another convoy was originally created by a group that called itself Canada Action, which cancelled the plan and refunded thousands of dollars in donations after that effort became associated with extremist elements in the Yellow Vests Canada movement. Carritt originally referred to his convoy as a "yellow vest convoy" but renamed it United We Roll after it too was linked to people spewing hateful rhetoric against Muslims and immigrants. "After much consideration, we have decided to make this convoy about being inclusive and supporting Canadians first and foremost," Carritt wrote on the protest's GoFundMe page in late January. "Our new name is United We Roll! Convoy For Canada!" Some trucks in the convoy display the signature yellow vest garment on their front grilles, but Carritt stresses the rally is open to anyone fed up with the federal government — as long as they aren't violent. "Everybody's involved," said Carritt. "It doesn't matter — you can wear a yellow vest or blue coveralls or black hardhat or suit and tie. Everybody that's peaceful is welcome." Jason Corbeil, another organizer, renounced any association with a Sault. Ste. Marie, Ont., yellow vest group that had claimed online to be part of the convoy. The blog of one of those organizers includes calls for specific politicians to be executed, refers to immigrants as "sub-human" and argues women don't belong in politics. Corbeil said the convoy does not condone hate and is about uniting people. 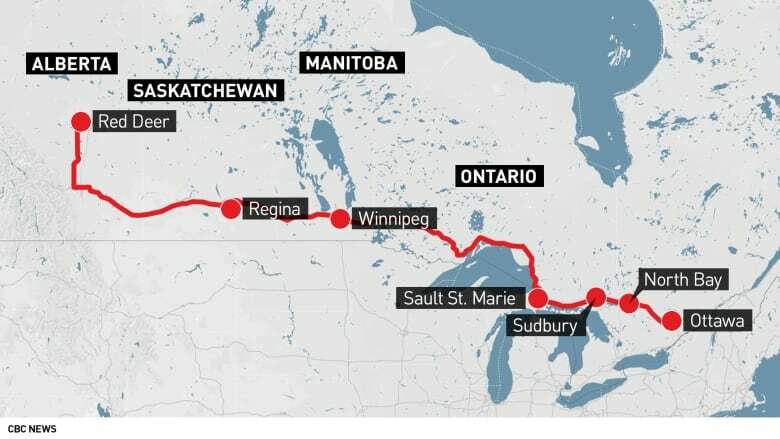 Evan Balgord, the executive director the Canadian Anti-Hate Network, however, is warning that the convoy is giving a platform for hate. "This convoy is a Yellow Vests Canada convoy, and any well-meaning pro-pipeline individuals involved are in fact legitimizing and breathing oxygen into the broader Yellow Vests Canada movement, which spreads hate, conspiracy theories and death threats targeting Muslims, politicians and other Canadians," he said. Indigenous Solidarity Ottawa is planning a demonstration near Parliament Hill Tuesday to counter the convoy's protest, condemning what it calls "pro-pipeline, far right and outright racist" rhetoric. Saskatchewan Conservative MP Cathay Wagantall is planning to speak at the convoy's Parliament Hill event Tuesday. She said she is pleased to participate and that the organizers have made clear the protest is about pipelines and energy policy, not hate. "I see everyday Canadians who are out speaking out strongly in support of Canadian pipelines and their jobs, and I want to be there to say I appreciate what they're doing," she said. The rally could bring much of downtown Ottawa to a standstill over the next two days, with street closures planned around Parliament Hill to make room for the 200 or more semi-trailers, pickup trucks, cars and buses expected. While the United We Roll group is largely made up of people from Western Canada, a group of like-minded protesters from Eastern Canada is to join up with them in Ottawa.